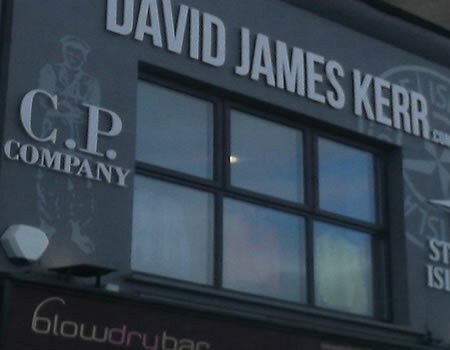 Businesses and members of the public in East Belfast are disgusted by yet another robbery, this time on the commercial premises of an new addition to the Holywood Arches Shopping area, a clothing retail store called David James Kerr. Like others the store owner has spoken of his disgust as stock worth approximately £15,000 was stolen from the newly opened business on the Newtownards Road, facing its junction with the Holywood Road. The owner David Kerr discovered the break in when he arrived to open up shop this morning and it is thought that the burglary took place in the early hours of the 24th August. Anyone with information that could lead to the apprehension of the thieves or the recovery of the sought after Stone Island and C.P Company stock is asked to contact the PSNI. The robbery is unique in that the thieves gained entry through a skylight in the roof of the premises and as such must have brought with them not only the normal tools for a burglary but also extension ladders. Local politicians have condemned as disgraceful the thieves whose actions could lead to the closing of the business and encouraged anyone holding information to come forward. Did you witness this crime, do you have information that could lead to those who committed this crime or the recovery of the stolen gear, if you were the victim of this crime would you expect others to come forward to help? Contact the PSNI at Strandtown on the new 101 number or anonymously by ringing Crimestoppers on 0800 555 111.